Free Samples and Writing on Spec: Should You? Many freelance writers aren’t a fan of writing on “spec.” That is, to create an assigned article for a potential freelance writing client or publication without the promise of acceptance. This usually happens when a publication doesn’t want to commit to a new writer without giving him or her an audition first. When you encounter a freelance writing job ad looking for a specially prepared (and possibly unpaid) sample, that’s almost the same thing as writing on spec. I call these request “special samples.” Special samples are writing requests beyond the clips that are submitted with the initial query or application. Most potential clients request clips and writing samples to get a feel for your writing. They want to be sure your voice and tone fits their own, and, also, they want to be sure you know the subject matter. In most cases, published clips will do just fine. For some clients this isn’t enough and they want writers to complete an assignment before they’ll agree to hire them. This is when we run into problems, especially if the client wants to keep all special samples without paying for them. Why do you need new samples when I already showed you several examples of my writing? How much will you pay for me to write this sample? Who owns my writing sample? What will you do with my sample if I’m not hired? Many potential clients are actually very well-intentioned, they only want be sure you can handle the material. However, there are other clients who are looking for free content. Asking questions will prevent you from helping to stock someone else’s website without seeing anything in return. About.com’s Prep program is a two week audition where potential Guides create content for their Guide Site. Several writers apply and build sites at the same time, but only one writer is chosen for the job. Those who don’t make the cut are left with nothing to show for their hard work. Fortunately for me, it paid off and I landed the gig. If I didn’t I probably would have used all of the content for my blog. One regular client asked me if I would try tackling a particular topic. The gig was lucrative but I never wrote about that particular subject before. Rather than lose this client to someone else, I wrote the piece on spec. I also got the gig. Providing free samples or articles on spec is never a sure thing. While most freelance writers shy away from clients requesting free samples, there have been occasions where it’s turned out well for the writer. If you’re going to write a free sample, make sure you’re compensated, especially if the potential client will use the sample. If you’re not compensated and it’s only to be used as an “audition,” make sure your client knows he doesn’t own any rights to the content, he may not publish it without your consent, and it is yours to do with what you wish. If the client wants all rights to a sample even if you don’t get the gig, run. This is only someone looking for free goods. Every day writers ask if they should submit free samples. My answer is always to consider the source and ask the right questions. I’m not a fan of writing on spec, but I did have success with it a couple of times, and I know other writers with similar stories. Just keep in mind you may not receive any form of payment for your work, and the potential client may very well end up keeping your samples to use as he wishes. For another side of the story, read John Hewitt’s excellent account at PoeWAr: The Dangers of Writing on Spec. While there are differences between writing on spec and turning in free samples, the outcome can be the same. Lots of work for nothing. What are your thoughts? 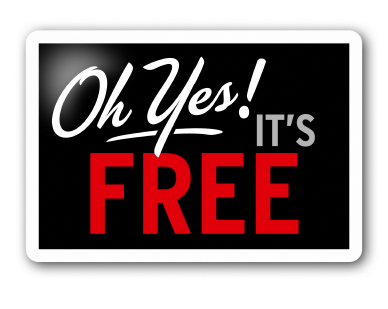 Have you ever submitted a free sample? Would you write on spec? When you troll the job boards every day you learn a little about the tactics many shady or very low paying employers use to find freelance writers. As someone who has been reading freelance writing job ads every day for over a decade, I can tell you some things haven’t change. The good news is that after all this time it’s easy to spot poor opportunities. Jobs are perfect for writers, not situations. The only reason a potential client will tell you something is “perfect” for someone else is usually to justify low rates. They’re saying because you’re retired, in school or work from home, you shouldn’t expect the same rates as higher paying companies. 2. Lots of Exclamation Points!!!!!!!!!!!!!!!!!!!!!!!! Sometimes the people who write ads are enthusiastic and have a flair for the dramatic. I’ve never seen a “Work at Home!!!!!!! !” job that wasn’t scammy. If you come across one of these opportunities, ask why they’re working so hard to catch your eye. Sure, it can be a terrific opportunity, but it can also be a clunker. Proceed with caution. I have news for you. It’s very rare you’ll make thousands of dollars a day working at home. You might earn thousands each month, and I know some bloggers who earn thousands each week, but to earn $15,000 a day isn’t happening. Not even for John Chow and Darren Rowse. Trust me, if it sounds to good to be true, it is. Some very legitimate and worthwhile companies advertise on all the different job boards each week. When they start hitting every city in every state, on every job board, every single day, one starts to wonder. It’s understandable that popular content sites are going to advertise often to find writers. When they start spamming it leads one to wonder. Is the turnover rate so high? Is the pay rate too low? Why are they so desperate for writers? Sometimes a business is flagged so often on Craigslist everyone knows to stay away. We remember the business name and all the players. The business owners change tactics by using different email addresses and the parent company name instead of the name used in the original ad. Ask yourself, why are their ads always flagged, and why are they taking such pains to look like they’re another company altogether? You should never have to pay to work for someone. Ever. Period. Done. P.S. There are job listing sites on the job boards they may request money. It’s one thing to pay to find a job on a membership-only job site and a whole other story to pay to work for a client. The client should be paying you to work for him and not the other way around. Ever wonder why certain employers don’t put any information in job ads? Because once you “inquire within” you learn you wasted your time. Again, not every vague ad means the client has something to hide. However, most employers will at least let you know a few details about what the job entails in order to attract the right type of writer. We discuss free samples often. Again, this isn’t necessarily a sign that a client isn’t a good one. Some clients want to make sure you’re a good fit and don’t know it’s not quite ethical to ask someone to write a sample on spec (and not pay for it). Other clients want something for nothing and take your sample and use it without compensation. Before you submit a sample, find out what will happen if the sample is not accepted and paid for. Will he use it anyway? Or do you get to retain the rights and submit it elsewhere? Ads saying they’d rather you were prolific than talented are sure to be low payers. Anyone who doesn’t care about the writing, doesn’t care about the writer. He’s only interested in stocking his site with content to earn money. Does this look familiar? “The job doesn’t pay now, but it may pay in the future.” My response to that is, “contact me when it pays.” Our landlords don’t allow us to maybe pay the rent. Our grocery stores don’t allow us to maybe pay for the grocieries. Writers shouldn’t maybe write for anyone. 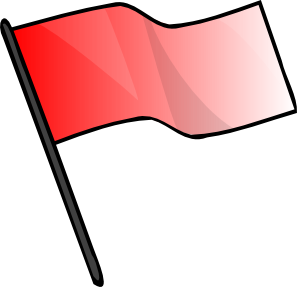 Deb’s disclaimer: I’m not saying jobs with these red flags are always poor opportunities. Indeed there are some good jobs asking for free samples or using exclamation points. However, the spammy stuff tends to over sell in their ads or do their best to appeal to the people who are inclined to accept lower paying opportunities. Use what is posted here to proceed with caution. There’s nothing wrong further investigation. If a job appeals to you, by all means, apply. Always read the fine print and make sure the end justifies the means.